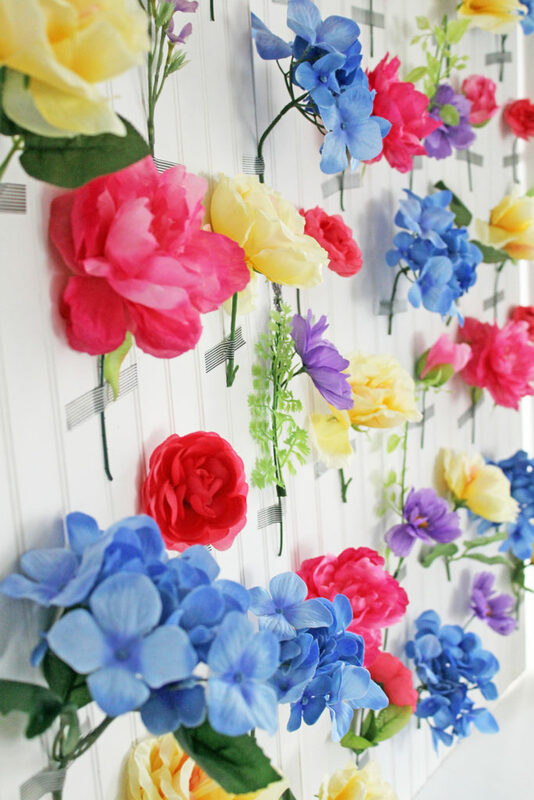 But today I’m sharing something I made for some party styling…a FLORAL WALL! Well, maybe not quite a “wall” per se, but a backdrop. 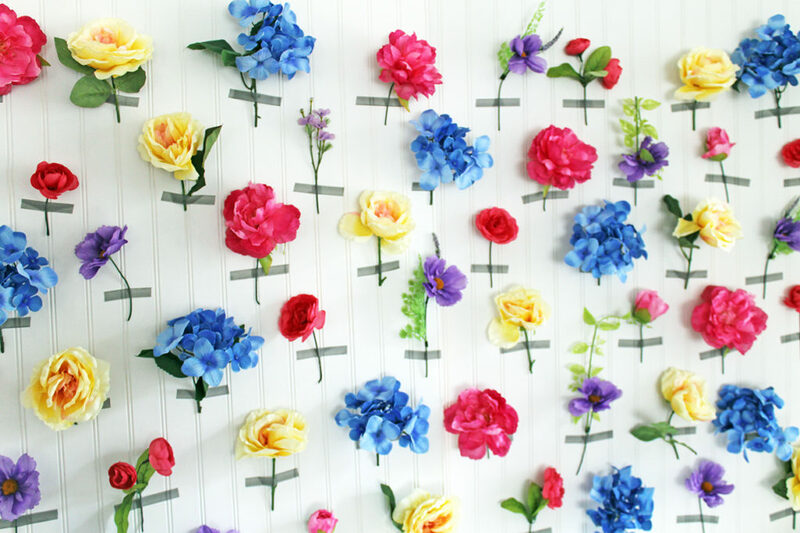 For this project, I used several bunches of colorful silk flowers, a white piece of beadboard, a roll of washi tape, and wire cutters. 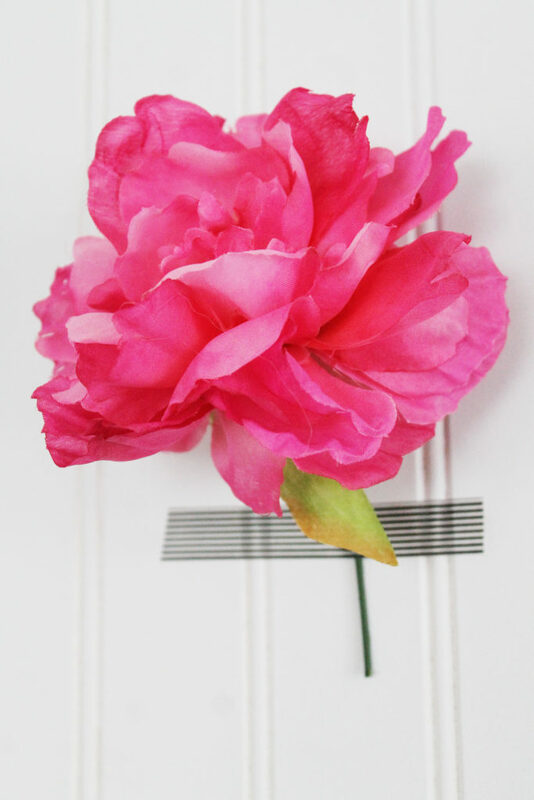 First, I cut off single stems of the flowers and attached them to the beadboard with a piece of washi tape. 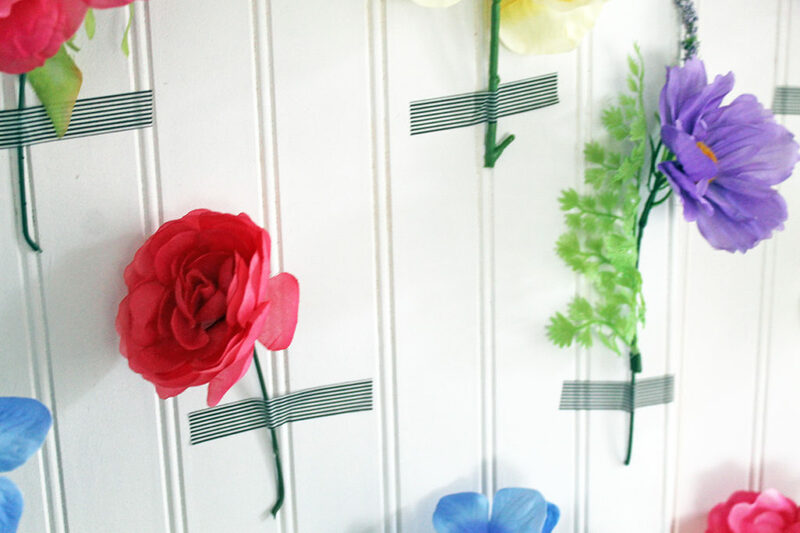 I used a narrow black and white striped washi tape pattern…kept it neutral because of all the bright floral colors. 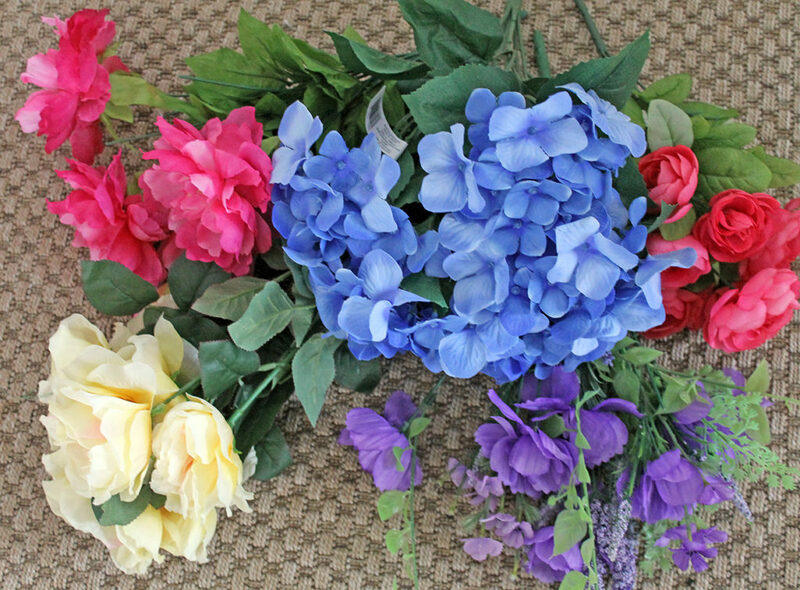 I continued to do this, alternating the color of the flowers, while making rows of the floral stems. Any guesses? 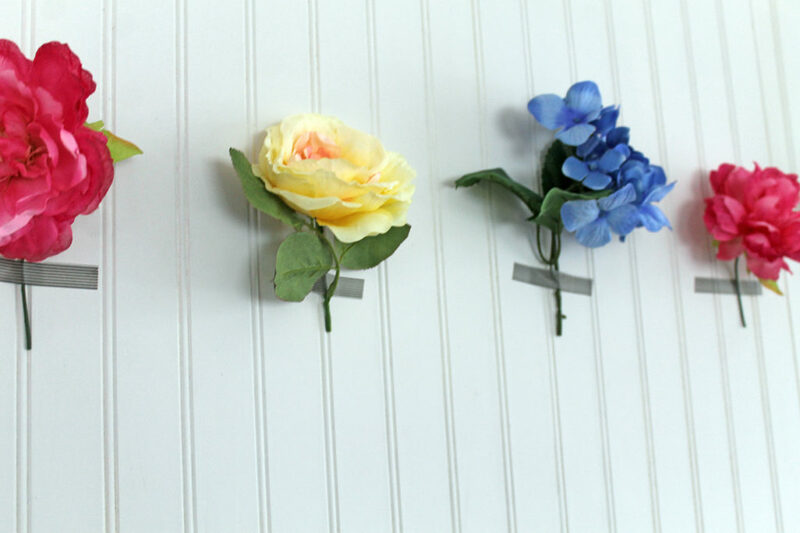 You already know it involves flowers!